It was your dream home—until it wasn’t. Sadly, far too many buyers swoon over a home, only to realize after moving in that they overlooked something major, bringing on a serious case of buyer's remorse. We get it: There's so much to check out, but so little time. Still, if you want to avoid being one of these disillusioned buyers, make sure to check out these oft-ignored yet critical features in a home and the surrounding neighborhood. They might not necessarily be deal breakers for you, but you will certainly want to be aware of them so they don't catch you off guard. Seeing your house at different times during the day and night gives you an understanding of what’s really going on in the neighborhood. 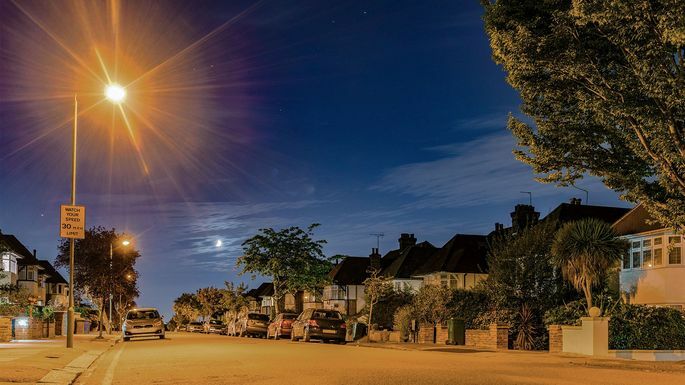 When you stroll your street at night, you’re not just looking for danger, says Aaron Norris with real estate investment firm the Norris Group, in Riverside, CA. In Norris' case, he learned his neighborhood was overrun with college students, who packed into nearby houses and brought in even more people to party on the weekends. “We would have six to eight students in a single-family residence, along with all their cars dominating the street parking,” he says. So you might learn that the neighborhood doesn't seem all that safe at night, or that there's a dog nearby that barks nonstop. It's better to know sooner rather than later. You never know where gridlock or other traffic problems might arise unless you road-test your commute. So if there's any doubt, get behind the wheel and drive your morning and evening routes, as well as any alternates. If the home is located in a community with a homeowners association, you will receive a copy of its bylaws, otherwise known as the conditions, covenants, and restrictions. These CC&Rs regulate what homeowners can do on their property. The CC&Rs might please some owners and displease others, says John Powell, director of development at Help-U-Sell Real Estate, in Tucson, AZ. CC&Rs that don’t allow a motor home on the premises might delight you if you consider them eyesores—or bum you out if you’re a weekend vagabond who doesn’t want to pay a monthly fee to store your coach elsewhere. Bottom line: It's important to carefully review the CC&Rs. Powell had other clients who wanted to put their home on Air-bnb, but the HOA precluded rentals. It's also possible your HOA could limit you to long-term rentals instead of short-term ones. Consider your ratio of bedrooms to bathrooms. As a general rule, homes should nearly always have a master suite plus at least one additional full bathroom, says Michael Schaffer, broker and owner of Reason Real Estate, in Englewood, CO. He also finds that most people expect a main-floor powder room for guests. All in all, “you’ll never regret having more bathrooms,” he says. While a home inspection is a must, most home inspectors are typically generalists who are checking for problems with mechanical systems, structural concerns, or possible contamination. If a property contains complex systems such as septic systems, wells, or solar panels, it should be evaluated by a specialist, says Michael Kelczewski, a real estate agent with Brandywine Fine Properties Sotheby's International, in Centreville, DE. Instead, he suggests focusing on the elements that can’t reasonably be changed (e.g., location, lot, and floor plan) since most of the value of the house comes from these factors. “A bad lot, like one that backs up to crackling power lines, will always be a bad lot, even if the house is spectacular,” he says. Too often sellers buy houses with a basic challenge (e.g., a property that backs up to a busy street) with the mindset that it doesn’t bother them so it won’t bother others. But it might, Schaffer warns. “Whether you believe it or not, you are cutting out a huge segment of the potential buyer pool for the property, making it that much harder to sell later on,” he notes. To really make money off your home, conventional wisdom says you need to stay put for several years. That’s why you should think long and hard about what you might need in the future. Is it possible you or your spouse, if you have one, will start working from home? Quiet space that can serve as a home office might be important. If you’re thinking of starting a family, consider where the baby will sleep—and if your yard will fit a swing set or if there are nearby parks. While you don’t want to buy more house than you can afford, you certainly don’t want to outgrow your house too soon.